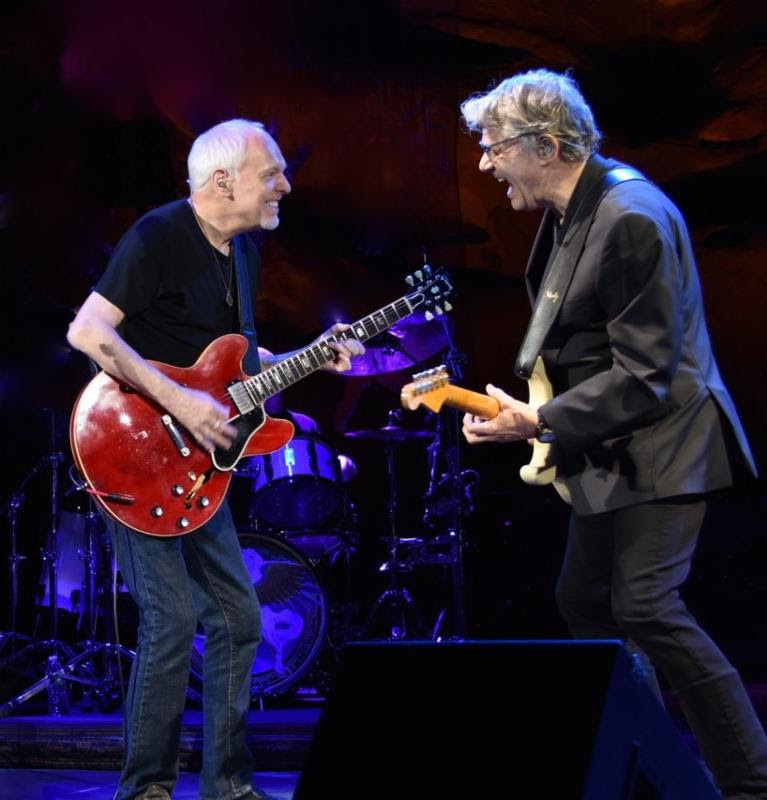 Rock and Roll Hall of Famer Steve Miller and special guest Peter Frampton have announced an extensive tour of the United States, in addition to their joint Canadian dates announced previously. This year, Miller aficionados will be regaled not only with sets from both the SMB and Frampton’s band, but also by Miller bringing Frampton onstage mid-set to jam. The Steve Miller Band will also be closing out the final day of New Orleans Jazz & Heritage Festival this year on May 6. Frampton will precede their tour with 10 solo concerts of his own. Scroll to the bottom for their complete itineraries. For tickets, go here and here. Last September, Miller produced and personally directed the curation and creative process for two new, career-spanning Steve Miller Band Ultimate Hits collections (Capitol/UMe). Ultimate Hits is available in a 1-CD and digital edition featuring 22 essential Steve Miller Band tracks, including three previously unreleased rarities, and in an expanded 2-CD and digital deluxe edition with 40 tracks, including the band’s top hits, live tracks and eight previously unreleased recordings from the studio and the stage. Both editions are also available on 180-gram vinyl in 2-LP and 4-LP deluxe packages. Frampton has reissued his critically lauded album Fingerprints via his own imprint Phenix Phonograph. Originally released in 2006, Fingerprints won the 2007 Grammy Award for Best Pop Instrumental Album and Frampton’s cover of Soundgarden’s “Black Hole Sun” off the album was also nominated for Best Rock Instrumental Performance. The album is available on vinyl for the first time. Frampton will precede the Miller dates with several shows of his own.